Police are investigating a murder that happened in north Charlotte this morning. Officers responded to an assault call in the 4200 block of Statesville Road just after 6 a.m. this morning and found a man suffering from an apparent stab wound. The victim was later pronounced dead at Carolinas Medical Center. The initial investigation found that the victim was arguing with the suspect before the stabbing, though it's unclear whether anyone has been taken into custody. The name of the victim will be released pending the notification of his family. WBTV producer Brian Stephenson tweeted a picture of a tractor trailer engulfed in flames on the side of Interstate 485 this morning between the U.S. 74 and Idlewild Road exits. The accident appears to have happened on the inner lanes, although a traffic map shows that traffic has slowed to a near standstill on both sides of the interstate. 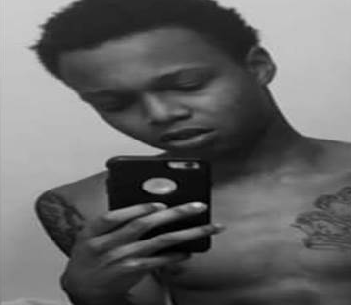 Police announced this morning that they are looking for 19-year-old Demahj Wright, who's wanted on charges of armed robbery and conspiracy to commit armed robbery. CMPD said the robbery happened on June 22 on West Woodlawn Road. Wright, who's also known as Maj, frequents east Charlotte neighborhoods, and was last seen on Moody Road off The Plaza. Police ask that anyone with information on Wright's whereabouts call the Violent Criminal Apprehension Team at 704-336-VCAT or call 911.